In a perfect world, you wouldn’t know who the administrators of government agencies were. Whomever occupied those jobs would have little impact on your existence. But we live in a world where the modern Democratic Party is seeking to metastasize government’s reach into every aspect of life. As such, the people who lead these government agencies matter. While Republicans control the executive branch, putting the right people in place can not only slow the expansion of the federal government, but roll back intrusive regulations already in place. Thankfully, the Trump administration has been very successful at doing this, restoring power to the American people, not unelected bureaucrats. At the end of last year, the Senate confirmed Kathy Kraninger to be the director of the Consumer Financial Protection Bureau (CFPB). Unfortunately, the disbanding of the CFPB, or any federal agency, is highly unlikely. To paraphrase Milton Friedman, there is nothing as permanent as a government program. In the meantime, Kraninger’s job is to restrain this extra-Constitutional agency that gave itself the power to regulate commerce and punish business. The Government doesn’t shut down programs and agencies, though they do sometimes roll them into others. The best small-government conservatives can hope for is to render them irrelevant, as best they can be. The fight over Kraninger’s confirmation to head the CFPB was brutal, succeeding by only one vote. But now there’s another confirmation battle brewing in the Senate, one with higher stakes for everyone, and facing even tougher odds – the confirmation fight over Andrew Wheeler’s nomination to lead the Environmental Protection Agency (EPA). The EPA is incredibly powerful, and under President Obama the agency was unleashed on the American people to regulate more than it was ever intended to do. They regulated “wetlands” that included standing water on private property. 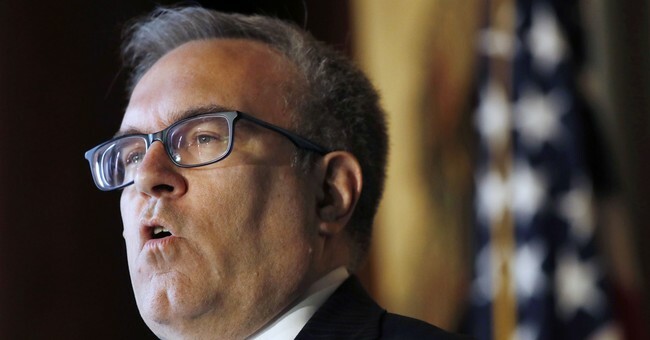 It was just one of many overreaches that the Trump EPA, under Wheeler’s current leadership as “interim director,” has been looking to rein in. However, the environment is the left’s new god, and it’s the fulcrum on which their future aspirations for even more power hinge. The so-called “Green New Deal” is nothing more than the weaponization of the regulatory state, empowering government to do pretty much whatever it wishes in the name of “saving the planet” from the scourge of…capitalism. Under the guise of “protecting the environment” the new “democratic socialists,” are hoping to impose their version of an environmental authoritarianism and implement policies that have routinely been rejected at the ballot box. For this to happen, the EPA has to be the tip of the spear. That’s why President Trump needs a strong EPA director now. To no one’s surprise, Democrats are lining up in opposition to Wheeler’s appointment. He previously worked in the coal industry, which to them means he’s forever beholden to them and if they wanted to dump barrels full of mercury into the drinking water supply, he’d allow it. Democrats are that insane now. This knee-jerk opposition to someone with experience in the industries they’re being tasked with overseeing is typical from the left; they prefer people who have read books or manifestos on the topic rather than people with actual experience. This is why ultra-liberal groups like the Orwellian-named “Environmental Working Group” oppose Wheeler’s nomination. On the flip-side, industries that actually have to work with the EPA, are in favor of Wheeler’s nomination. The Edison Electric Institute, for instance, which represents America’s utilities, supports Wheeler. I, for one, like having electricity and if the people who supply power to our nation’s schools, hospitals, businesses, nursing homes and yes, electric vehicles, so it’s nice knowing the people who supply that power think he’ll do a good job. Who do you trust more to provide affordable energy, the people who do it or the people who want to end it? In a just world, Wheeler would be confirmed overwhelmingly. However, it’s likely to be like the Kraninger confirmation, another squeaker (sadly the days of unanimous confirmations are long gone). But he should be confirmed. And he should immediately start protecting the American people from an overreaching government while maintaining common sense safeguards to protect the environment. Democrats will never stop coming, never stop pressing their agenda. But we’re sitting on the edge of a Tet Offensive by the left to seize power, and they’re looking to use “protecting the environment” as political cover. We need someone at the helm of the EPA to make sure that’s as difficult as possible to do – and Andrew Wheeler is the right man for the job.